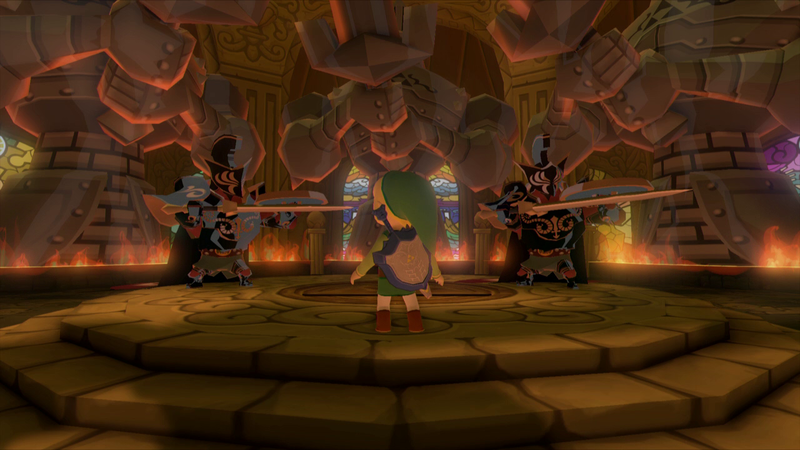 Daily Debate: What Missing Enemies Do You Want To See In The Next Zelda Game? The Legend of Zelda has a pantheon of intimidating and expertly designed enemies from across its thirty plus year history. Breath of the Wild was notable for including the Lynels, the ferocious lion/centaur hybrids that were previously only seen in 2D Zelda games like A Link to the Past. These monsters are hulking foes that provide a huge thrill and challenge to players. While Breath of the Wild brought back some classic Zelda foes, many great enemies from past games didn’t make it into the game. With that in mind, what classic enemies would you want to reappear in the next 3D Zelda game? The enemy that I want back are the Darknuts, seen most famously in The Wind Waker and Twilight Princess (their axe-wielding cousins the Iron Knuckles are also high on my list). Darknuts were superb sword fighters, providing an awesome combat challenge for players to overcome. The various armor, weapon, and shield designs for the different types of Darknuts resulted in some incredible and imposing designs (my favorite being the black armored caped baddies Link fights in The Wind Waker‘s Hyrule Castle). Even beyond Darknuts, there are plenty of enemies from different games that would be welcome or refreshing additions to the next Zelda game. Relatively straight forward enemies like the Deku Baba or Skulltula could receive awesome new designs and combat overhauls for a future game. What classic enemy or enemies do you think should return in the next 3D Zelda game? Share your thoughts in the comments below!